It is that time of the year when brown leaves carpet morning walks, making us ponder on the fragility of life. Longer nights mean more time with one’s self and dark hours of contemplation in the undisturbed company of memory. Autumn is upon us and we sit surrounded by its moods. Vikram Seth’s poetry collection ‘Summer Requiem’ is not just a seasonally suitable book to read but one which makes the reader find herself somewhere within its folds of poetic musing, watching the orange dusk. Because ‘sombre thoughts become this hour, Hour of red copper, rust, dark iron’ (from ‘Summer Requiem’). 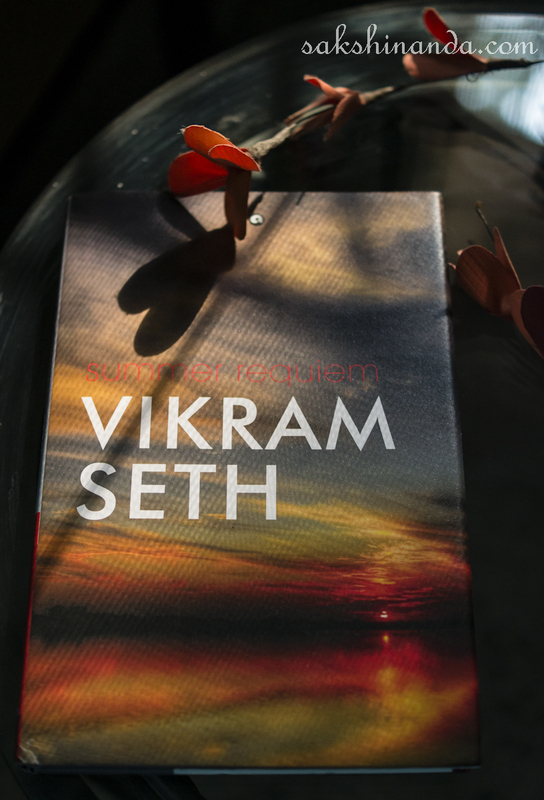 The overarching idea in Vikram Seth’s poetry is that of transience – of seasons, of love in relationships and of life itself. We see the poet, at home or in the world, looking around at shifting scenes and poring within with thoughts of change, and even death. Observation and contemplation unite to create vivid visuals which add profundity even to the usual. And the poet? A man whose streams of thought, whether flowing backwards in time or surging ahead, seem poignantly lonely in a crowd. However, the low notes of remembrance of things gone by are in peaceful symphony with those positive ones reflective of acceptance of this very impermanence around; a flux which impresses itself upon the poet’s mind as he bids adieu to summer. At ease with the impending snow. A love lost, or one never found? Try as I do, it hasn’t gone away. I hoped it would once, and I hope so still. Someday, I’m sure, it will. No glimpse, no news, no name will stir me then. A lover lost it is, then. Though not the love. How so? ‘Caged’ describes the torment of the poet feeling ‘dispossessed’ with the partner while being still in love. A relationship bitter and ‘bent on staggering on’ with a perpetual question in the estranged poet’s head – ‘Why could this not wait till our love could die?’ Togetherness is not equal to happiness, and a string of communication lies snapped in ‘A Winter Room’ too. Reminds the reader of modern, urban relationships. It is this that makes you sense the poet’s loneliness even in moments of richly described solitude. No one, and no one will appear. Sitting alone with birds and beer. The ‘must be’ in the third line marks a tentative insistence on being happy. He seems unsure if he prefers the company of solitude, even though this theme is recurrent. Is that why many poems contain references to muses, friends, lovers and memories, ‘gathered and scattered’? And, is that why there is a turning to Nature, a calming company to his musing soul, though reminding him continuously of his waning life? Vikram Seth is not a Romantic poet. While his sense of ‘I’ is remarkably real, divinity is not what he sees when he views trees and beaches, birds and sunsets. However, faint strokes of similarity can be seen between the poet’s and William Wordsworth’s relationship with nature. They both drew solace in its lap; learnt to value it when they were away from it. And as a result of this reminiscing, they both learnt to appreciate the role of memory. Poured balm on my afflicted soul. Just what a beautifully visual ‘One Morning’ reveals how ‘as I breathed the callous air, I lost the drift of my despair.’ ‘Red Rock’ describes that beach’s scene, the waves and toddlers and ‘Three dolphins ballet in the din, In bottle-nosed felicity.’ The poet wishes it would always be like this. But it cannot be this warm forever, can it? ‘Next year I’ll freeze, though God knows where. Or vile Vienna in the sleet. And that is the role of memory in ‘Summer Requiem’. It is ‘a poison’ that reminds the poet of the absences yet at the same time it makes him remember warmer, joyful times. Both triggered by Nature and calmed by it too. It is this theme that lends the book lush visuals, giving its readers ‘The sense of privilege’ that the poet himself felt in ‘Suzhou Canal on a June Night’. Nature does another thing, as summer bids adieu. It becomes a personification of the poet’s own being. Of a man believing he stands in his twilight, already. These collected poems thus become a continuous, and rather personal, contemplation of life and death. My joints have rusted and my brain is lead. Hot-water bottle, God and teddy bear. As summer makes way for autumn, ‘The Yellow Leaves’ glint, making the poet wonder ‘What is this heaviness that won’t unclench my heart, My work by day, my spirit nightly?’. Life is ‘this ungiving game that waits till it or I am finished.’ The mood is somber, and death a constant unnamed refrain. The pathetic fallacy of watching summer turn to bitterness in his own being is unmistakable. In the ‘Summer Requiem’, you cannot separate the art from the artist. The poet is a part of his surroundings, almost one with them with his moods and memories. Like one organic whole. Where I subsist or end. While there is a proclivity to harp on loss and disintegration, the reader cannot see the poet as separate from his landscape – and cannot see him dead and gone. Because that would mean the world collapsing too. Perhaps, the poet knows that. He wants to be. His memories of the summers gone fill his eyes, make faces appear, make him confess ‘To the Moon’ how ‘it gives me pleasure to remember and to count the stages of my sorrow.’ The voices in his head whisper in ‘Late at Night’ how ‘Live you must, for we must too, And we have no home but you.’ And he wants to house them. Resolves with ‘I must’ are oft repeated in his poems, even if it is that ‘I simply must get out of bed, And press that reset button in my head’ (from ‘Can’t’). A letting go and yet holding on…but not a swan song. No. Somewhere in the valleys of interpretation that ‘Summer Requiem’ creates we find the poet wandering, and us readers wondering alongside. Thus luring us into shared intimacy with his mind, Vikram Seth in his latest collection of poetry traverses moods with soulful ease and unreels panoramas of landscapes – of change in both the outside world and the labyrinths within. While each poem stands apart from the other (and not just in rhyme scheme) one can choose to view them as a continuous contemplation of life and its vagaries, connecting birds with stars and themes with dreams as one reads on. Timeless poetry that you can turn to, again and again, to see something anew every time you do. 'Summer Requiem' by Vikram Seth is published by Aleph Book Company, 2015. Going to read it soon, I love his work. Even if most of poetry might go over my head. A hint of similarity with Wordsworth in his nature poems, yes. A touch of sad contemplation in all his poems. They ought to be read out loud, preferably in a rich baritone. Perhaps he will? I heard the launch was yesterday. I would have loved to hear him. Nice review here.....I am tempted to read the poems on my own now. Transience has its own beauty and attraction. It makes us contemplate on the state of things. The poetry here brings out that contemplative mind. Yes, it does, Sunaina. Give it a go. Good to know that, Ankita. I think the book is yet to be released. But I am sure you will enjoy the book whenever you get your hands on it. Nice stuff to have a go pixelgun 3d hack . this is really a good website. Keep posting and sharing. bring the soul to meet; Bo Tao Fenuo is a beautiful place, many people regard her as a holiday Paradise, IWC put her as an emotional performance, a time with Xiangxi love. Vikram seth, a well known author in India. I really love the way you write which create more interest always. All the ladies who like to wear mules sandals know how much the absolute precision required to produce these shoes. Everyone now look here high heel mules for more information. To create them, most of the fashion designers used the combination of natural leather and wood that our feet like, and design models are decorated with denim, lace, and rhinestone. Whether you need a loan on cheap rates of interest or you want to utilise the funds to rebuild credit history, Easy Loans UK is here to help you. We offer customised deals on loans for unemployed people. The transparency in our lending service is guaranteed. Thank you, so much admin is already providing the www.dicksrunningshop.com/nike-air-huarache-c-1_9.html to us. A very well-detailed post with step by step guidance on ————- (topic of blog post). The way you have explained every point bridges the gap between bookish theory and actual knowledge. 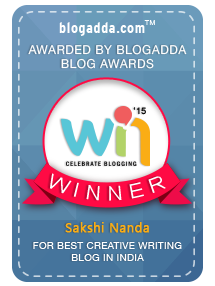 Thanks a ton. Loan Store is indeed among the most reliable very poor credit loans direct lenders in the UK because it offers these loans on a wide range of benefits such as no cumbersome application procedure, no documentation and no upfront charges. Here is a good article entitled "Essay Writing Tips"
Life standards are now easy to maintain with installment loans UK for bad credit people. You do not need to worry about the repayment time and interest rates. I have read a lot about him sincere I joined my dissertation writing services company. I have been always reading his poetry because it gives a person valuable thinking. Students of MBA University or College have lots of activities to complete. Students of Management universities puzzled from all type activities. They prefer online help for their writing works. For MBA Essay Writing Service in Singapore only single name came in the mind of Students is StudentsAssignmentHelp.com. SingaporeAssignmentHelp is expert in homework writing and responsible for students academic growth in homework help. Students refer other to us because of our Homework Help services. If anyone facing problem in assignment help for their academic coursework, then don’t worry you can take help from one of the best assignment helper Singapore. We have the team of highly skilled professional for the academic service in Singapore. Hire the best assignments Writers of Ireland Assignment Help for completing your assignments work. Benefit the best marketing project topics on the off chance that review composing from Students Assignment Help. We have a notoriety of conveying contextual investigation composing a task on time. Get best perdisco assignment writing help from online experts and submit a well written assignment on time.